— listening to The Kingston Trio singing Where Have All the Flowers Gone — that made a whole bunch of you feel instantly nostalgic, didn’t it? 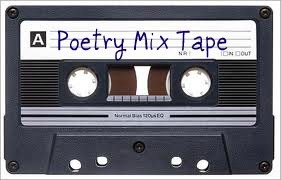 Donna’s prompt on The Poetry Mixtape is great fun and involves titles and the question of balance. If you haven’t stopped by, race over before she changes it. Then, stop a while and play. She gives us a stunning example. As with all Saturday prompts, the new prompt will be up tomorrow, or you can wait for next Friday! Joseph Harker gives us Reverie Thirty-four: a sensation of space where Joseph gives a clear, cohesive, articulate essay on haiku. Even if you aren’t going to write one, go read the essay. I mean it. Go. Over at The Music In It: Adele Kenny’s Poetry Blog, Adele suggests we try writing a phone poem.To read all the possibilities, and to be given links to corresponding poetry, visit. I was intrigued by the one about Shakespeare texting… . At The Sunday Whirl, Brenda and the Wordlers [sounds like a 50’s band] tried something different. We met on Facebook, where much hilarity ensued, as we came up with the words. Visit to see the wordle and to read what others have done. To read a bit about Dante and see an excerpt from Longfellow’s translation, head for Keith’s Carry On Tuesday. Our line comes from Dante’s Inferno. Oh dear. Where was I? A phone call from our son: His wife got a job in Vermont [they live in Texas] and they are very excited. They love everything they have read about the place. Now, we have a reason, as well as an excuse, to visit the area. It is time for Limerick-off Mondays. Limericks are fun; good limericks are addictive. Really. Go to Mad Kane’s Humor Blog. Look around while you are there. She calls it a humour blog for a reason. Go for the laugh. It’s healthy. It doesn’t much matter if you don’t want to write a limerick; reading them brightens a day. Fact. Visit Magpie Tales for our first image prompt, a painting by Andrew Wyeth. I thought it was a photograph when I arrived at the page. Incredible. Mary, at Poetry Jam, talks to us about letters. You know, the kind that lift our hearts when we see one in the mail; the kind we have to open with a sharp edge; the kind we can pull out, or unfold; the kind we can hold in our hands. Remember those? Visit Elizabeth’s new venture, Musical Notes. The new song will go up every Tuesday, and your response can be posted Thursday. This one is fun to play and tinker with, not only because the inspiration is a song, but because the response must be done in 15 words. Sounds fun, doesn’t it? Show up next Tuesday! Wonder Wednesday gives us a fun photograph of a bike rackwith its own cosy [you have to look] and a menu with interesting offerings. Visit to see what Carolisle says about them and her suggestion for writing. Over at imaginary garden with real toads, Mama Zen talks to us about power images: A power image is an image that a writer returns to time after time. Head over to read what else she says. Hannah is back with Transforming Friday where she takes us to a part of the world and asks us to take the persona of something, or someone, in that world. She has several photographs to help us. Visit to find out more and to wander through the gardens. Go play with the toads. We Write Poems asks What do hands do? Go on over to read the rest of the prompt. Any excuse to pick up the Crayolas is good. Visit dVerse to read what Form For All offers us. If you have not written a tritina, give it a try. The challenge, as with other -inas, is to have the repeat rhyme not sound like a repeat rhyme. The directions are clear, the form is fun, with just enough challenge. Stay awhile; it’s such a friendly place. I think they have sake bloody marys on offer this week. I was just wandering around Patricia’s site. It has the feel of walking on a beach, or through a forest. A comforting feel to it. This week we have : National Parks subway map, fracking, baby manatees. I don’t usually mention all the topics, but look at the offerings. Patricia K. Lichen, Author, in her Weekend Haiku & Limericks has at least one article, and one photograph to use as prompts for a haiku, or a limerick. Visit for the possibilities and because it’s fun to wander through the site. I shall see you next Tuesday for a prompt on self; next Thursday for a serendipity of punctuation; and next Friday for the Roundup. 8:14 a.m. and listening to Christmas music. Wait. What? It’s okay, everyone. I’m transferring music from disks to cloud. Donna and The Poetry Mixtape: One of my favorite of these “modern” sonnets is from one of my favorite collections of the past few years – Rough Honey by Melissa Stein. Visit to read the sonnet and what else Donna says. As with all Saturday prompts, the new prompt will be up tomorrow, or you can wait for next Friday! Joseph Harker gives us Reverie Thirty-three: muddy hymnal where he asks: Why are there no prayers or hymns for these minuscule, common experiences that we all enjoy, or fear, or avoid, or feel bad for? Visit and read Joseph’s thoughts on this, as well as his explanation of what he wants us to try. Wander around while there. Visiting Joseph’s blog is like visiting him as he sits sipping coffee in his cafe. Join him for a cup. Over at The Music In It: Adele Kenny’s Poetry Blog, Adele talks about shadows. She offers, as always, many approaches. Adele’s prompts are always more than the sum of their parts. To read all the possibilities, and to be given links to corresponding poetry, visit. This week, she gives us a bonus video. At The Sunday Whirl, Brenda says, It’s been awhile since I turned to Wallace Stevens for inspiration. This week’s words come from his poem ‘The Auroras of Autumn.’. Visit to see the wordle and to read what others have done. To read the lyrics and hear Celine Dion and Frank Sinatra sing a duet of All The Way, head for Keith’s Carry On Tuesday. Also, to find out the sparking line. It is time for Limerick-off Mondays. Limericks are fun; good limericks are addictive. Really. I just caught myself settling in to read several. Go to Mad Kane’s Humor Blog. Look around while you are there. She calls it a humour blog for a reason. Go for the laugh. It’s healthy. It doesn’t much matter if you don’t want to write a limerick; reading them brightens a day. Fact. Visit Magpie Tales for our first image prompt, a painting by Adolphe Valette. It’s quite lovely and offers as one possibility, writing about the mood it engenders. Dani at Poetry Jam offers an interesting exercise with many possibilities for fun. The topic has to do with genres. Visit to discover what. For a different type of prompt, visit Elizabeth’s new venture, Musical Notes. The new song will go up every Tuesday, and your response can be posted Thursday. I will leave this in as a continued reminder. This one is fun to play and tinker with, not only because the inspiration is a song, but because the response must be done in 15 words. Sounds fun, doesn’t it? Show up next Tuesday! Wonder Wednesday gives us a photograph of a Mayan gourd. Visit to see what Carolisle says about it and her suggestion for writing. Over at imaginary garden with real toads, Ella’s Edge has a very cool offering. She has discovered a new art form and offers some examples as the prompts towards poetry. Fireblossom Friday gives us several stills and a link to a video, all to do with two people in love. Visit to find out more and to wander through the gardens. Go play with the toads. We Write Poems has as its title: Colour Us a Poem. Wonder what the topic is… Go on over to read the rest of the prompt. Any excuse to pick up the Crayolas is good. Visit dVerse to read what Meeting the Bar offers us on the subject of writing characters. As always, we are given a thoughtful and interesting essay, along with the prompt. Stay awhile; it’s such a friendly place. I think they have Irish Coffee on offer this week. I was just wandering around Patricia’s site. It has the feel of walking on a beach, or through a forest. A comforting feel to it. Patricia K. Lichen, Author, in her Weekend Haiku & Limericks gives us several options to use as resources. She has at least one article, and one photograph to use as prompts for a haiku, or a limerick. Visit for the possibilities and because it’s fun to wander through the site. If that is not enough… Yes, My face is straight. Why? Okay, I lie, I’m grinning as I write, but you never know. The other sites are under the Freeforall tab. Your Serendipity @ Thursday Thoughts is back. This means if you have something you want announced: publication of your work [because you are shy about saying anything on your blog, or because you need us to buy your book! ], an article you think we will enjoy, or find interesting, a writing contest, a workshop… anything to do with writing, really, send it along. If it is time sensitive, be sure and tell me. You can give me your announcements either in the comments section, or email me: margoroby@gmail.com. I shall see you next Tuesday for an image; next Thursday for a serendipity of possibilities; and next Friday for the Roundup. Donna and The Poetry Mixtape give us a Laura Dixon poem. The poem is one of those that make me go ‘Ohhh!’ about a third of the way through and slow down my reading. Head over and, as Donna says, ‘rearrange some furniture’. As with all Saturday prompts, the new prompt will be up tomorrow, or you can wait for next Friday! Joseph Harker gives us Reverie Thirty-two: elsewheres where we are told what we’re going to do is basically a travelogue poem moving around the map. The trick is to defy reality: I have notes all over the place and I know this will turn into a poem. When? Ah well… Visit and read Joseph’s thoughts on this, as well as his suggestions. Wander around while there. Visiting Joseph’s blog is like visiting him as he sits sipping coffee in his cafe. Join him for a cup. Over at The Music In It: Adele Kenny’s Poetry Blog, in a bit of serendipity, Adele talks about journey poems. I find it often helps me into a poem when I have two very different perspectives on similar topics, such as Joseph’s and Adele’s. She offers, as always, many approaches. Adele’s prompts are always more than the sum of their parts. To read all the possibilities, and to be given links to corresponding poetry, visit. Poetic Bloomings wants us to think of our childhood homes. Visit to read what our hosts say and to read their poems in response to the prompt. You might look around and check out their latest in-form prompt, and their interview . At The Sunday Whirl, Brenda and The Whirl give us our words from a poem by Allison Adelle Hedge Coke. Visit to see the wordle and to read what others have done. Carry On Tuesday gives us a line from one of the songs from The Sound of Music. For the line and a link to a video clip head on over. It is time for Limerick-off Mondays. Limericks are fun; good limericks are addictive. Go to Mad Kane’s Humor Blog. Look around while you are there. She calls it a humour blog for a reason. Go for the laugh. It’s healthy. It doesn’t much matter if you don’t want to write a limerick; reading them brightens a day. Fact. Visit Magpie Tales for our image prompt, a photograph by Francesca Woodman. I was so fascinated by the image, I stopped for a few minutes to read her Wikipedia entry. I am even more fascinated. For a different type of prompt, visit Elizabeth’s new venture, Musical Notes. I will give you the general blog URL, as the new song will go up every Tuesday, and your response can be posted Thursday. You will need to remember that, but I will leave this in as a continued reminder. This one is fun to play and tinker with, not only because the inspiration is a song, but because the response must be done in 15 words. Sounds fun, doesn’t it? Show up next Tuesday! For you alliterationists out there, visit ABC Wednesday. This week we have a selection of photographs of Olympic winners. I may never grow tired of Mo Farah’s face. The three words for Three Word Wednesday are beat, pressure, and substance. You might try writing down the first thoughts that come into your head as you read these words, before you go on to visit the site for their definitions. TWW has a particularly good source and I often get ideas from the definitions rather than the given words. Wonder Wednesday gives us a photograph of a tree, a graceful tree that appears to be in the middle of a dance. Visit to study its performance. Over at imaginary garden with real toads, we have a treat from Kerry. Two treats, really. We get to watch Margaret Atwood; then, if we wish, we can try out a similar thing to what she reads to us. Point of view is an important part of our techniques. This exercise is all about that. Mary K. in her Mixed Bag suggests a visit to the neighbourhood that is strongest in our minds. Yep, more serendipity. Visit to find out more and to wander through the gardens. Go play with the toads. We Write Poems says, in part, Find yourself a favorite spot, maybe one that evokes deep memory or inspires imagination, then take off your shoes and socks… Yes, you are going to have to visit for the what next. At Poets United, Ella introduces dreamcatchers [for those who have not heard of them]. Visit and read what else Ella says. dVerse is open. Visit to see what the specials are this week. Head to the Bar and read the prompts. Stay awhile; it’s such a friendly place. I think they have Irish Coffee on offer this week. Patricia K. Lichen, Author, in her Weekend Haiku & Limericks gives us several options to use as resources. All you frog people [I know you’re out there], did you know about the Global Amphibian Blitz? An interesting possibility, Patricia suggests, is to look at the comments and pull a poem from them. Visit for the possibilities and because it’s fun to wander through the site. I shall see you next Tuesday for a warm-up Tryout; next Thursday for a serendipity of possibilities; and next Friday for the Roundup. P.S. You will find duplicates this week on my new Page. Everything will be in place next week. I hope all of you are well. While I am enjoying the Olympics, it takes enough of my time and attention that my poet brain has snuck off somewhere. While I look for it [sort of], here are this week’s assortment of prompts. Donna and The Poetry Mixtape give us a Lorca poem on the guitar. The phrase ‘smashed goblets’ should take you over to check! As with all Saturday prompts, the new prompt will be up tomorrow, or you can wait for next Friday! Joseph Harker gives us Reverie Thirty-one: ekphrastic ecstatic where Joseph presents us with an interesting selection of abstract modern art. He describes ekphrastic writing as, You allow the work to tell a story and summon up emotions in you. 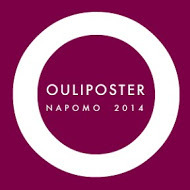 I have always loved ekphrasis and find abstract art easier than more realistic genres. Visit and read Joseph’s thoughts on this, as well as his suggestions. Wander around while there. Visiting Joseph’s blog is like visiting him as he sits sipping coffee in his cafe. Over at The Music In It: Adele Kenny’s Poetry Blog, Adele talks about apologies. In a serendipitous moment, I jotted down something about the word ‘sorry’ last night, so was amused to see this. She offers, as always, many approaches. Adele’s prompts are always more than the sum of their parts. To read all the possibilities, and to be given links to corresponding poetry, visit. Poetic Bloomings wants us to think of accomplishments in which we take pride. Visit to read what our hosts say and to read their poems in response to the prompt. You might look around and check out their latest in-form prompt, and their interview . At The Sunday Whirl, Brenda and The Whirl give us our words based on her week on a houseboat. Visit to see the wordle and to read what others have done. Keith has signed up for another year of Mr. Linky. I hadn’t realised that it had to be paid for. Show your appreciation and visit for a line from Shakespeare. Check Carry On Tuesday for the line and a link to the monologue which it opens. It is time for Limerick-off Mondays. I’m smiling already. Go to Mad Kane’s Humor Blog. Look around while you are there. She calls it a humour blog for a reason. Go for the laugh. It’s healthy. It doesn’t much matter if you don’t want to write a limerick; reading them brightens a day. Fact. Visit Magpie Tales for our image prompt, a painting by John Singer Sargent, one of my favourite artists. The painting is one of those that pays for close ‘reading’. Start at the bottom left corner and move up and across, jotting what you notice. You can write about the scene, the woman, a thought, or memory, triggered by the painting, or focus on one part of the painting. Mary at Poetry Jam wants us to think about values, what we value. She offers several suggestions for possible directions as well as several quotes. For a new entrant and a different type of prompt, visit Elizabeth’s new venture, Musical Notes. I will give you the general blog URL, as the new song will go up every Tuesday, and your response can be posted Thursday. You will need to remember that, but I will leave this in as a continued reminder. This one is fun to play and tinker with, not only because the inspiration is a song, but because the response must be done in 15 words. Sounds fun, doesn’t it? Show up next Tuesday! For you alliterationists out there, visit ABC Wednesday. This week we have a tribute to the founder, so dance on over to check it out. The three words for Three Word Wednesday are crumble, drawn, and uneasy. You might try writing down the first thoughts that come into your head as you read these words, before you go on to visit the site for their definitions. TWW has a particularly good source and I often get ideas from the definitions rather than the given words. Wonder Wednesday gives us a photograph of a naked lady, the flower that is. Carolisle suggests that fun can be had with this. I agree. Go to it. Over at imaginary garden with real toads, we have A Word With Laurie. Visit to find out the word and to wander through the gardens. Go play with the toads. We Write Poems presents us with an image and asks us to use it as a spark to a possible love affair: Write a poem, howsoever you feel inspired, by this image of that far far landing on Mars. Head over to view the image and read the rest of the prompt. At Poets United, Ella says: Think of this as an invitation to get others curious about a book… That’s right, we are being asked to combine our love of books with our love of writing. What can be better? Well, yes, coffee, but I thought that went without saying. Visit and read what else Ella says. dVerse offers a prompt based on techniques developed by the Impressionist painters, who wanted to capture moments, the play of shade and light with few and quick brush strokes. Head to the Bar and read the rest of the prompt. Stay awhile; it’s such a friendly place. Patricia K. Lichen, Author, in her Weekend Haiku & Limericks gives us several options to use as resources. For those of you fascinated by clouds, this is your chance. An interesting possibility, Patricia suggests, is to look at the comments and pull a poem from them. Visit for the possibilities and because it’s fun to wander through the site. As we near the end of summer, I am gearing up to reopen Your Serendipity @ Thursday Thoughts. This means if you have something you want announced: publication of your work [because you are shy about saying anything on your blog, or because you need us to buy your book! ], an article you think we will enjoy, or find interesting, a writing contest, a workshop… anything to do with writing, really, send it along. If it is time sensitive, be sure and tell me. You can give me your announcements either in the comments section, or email me: margoroby@gmail.com. I shall see you next Tuesday for a Tryout… some kind of freedom is involved; and next Friday for the Roundup. Should a request for a time sensitive announcement arrive, I’ll reopen Thursday early. Hello! How many of you are already hunkered down in front of television sets watching the Olympics? I have just tied my brain in knots trying to workout how the NBC folks, who have already seen the Opening Ceremonies, can present us a programme where they talk about tonight, as if they have not gone through it. Much easier to deal with the prompts that will keep us busy while watching, or not watching, the Olympics. Donna and The Poetry Mixtape discuss ceremonies and family. As with all Saturday prompts, the new prompt will be up tomorrow, or you can wait for next Friday! Joseph Harker gives us Reverie Twenty-Nine: d.i.y. where he says make things (including words!) do what you want them to do. (I also call this the Humpty-Dumpty principle, after Lewis Carroll’s version.) Visit and read Joseph’s thoughts on this, as well as his suggestions. Wander around while there. Visiting Joseph’s blog is like visiting him as he sits sipping coffee in his cafe. Over at Adele’s, The Music In It: Adele Kenny’s Poetry Blog, she talks about friendship. Read her discussion and her warning to steer clear of sentimentality. She offers, as always, many approaches. Adele’s prompts are always more than the sum of their parts. To read all the possibilities, and to be given links to corresponding poetry, visit. Poetic Bloomings talks about betrayal, and not necessarily by another person. Visit to read what our hosts say and to read their poems in response to the prompt. You might look around and check out their latest in-form prompt, and their interview . At The Sunday Whirl, Brenda and The Whirl give us our wordle from the poetry of Dorothy Parker. She was an interesting woman. Check out the links on The Whirl’s Facebook page if you want to explore a bit of her work. Visit to see the wordle and to read what others have done. In honour of the Olympics, Keith gives us a quote from Dean Karnazes a best selling author and Ultramarathon runner. Check Carry On Tuesday for the line and a link to other quotes by Karnazes. Visit Magpie Tales for our image prompt, a painting that is rather abstract. If I had time I’d come back to see how everyone deals with this image! For you alliterationists out there, visit ABC Wednesday. This week, B is for Butanding. You have to find out what that is, don’t you? Go on over. The three words for Three Word Wednesday are cut, endanger, and hazard. You might try writing down the first thoughts that come into your head as you read these words, before you go on to visit the site for their definitions. TWW has a particularly good source and I often get ideas from the definitions rather than the given words. Wonder Wednesday gives us a sculpture and a painting and a couple of directions we might take with the idea of ripening. Visit to meet Carolisle and have a look at the image and what she has to say about it. Over at imaginary garden with real toads, we start with a new monthly feature from Mama Zen. Go on over and read what that’s about. We also have Transforming Friday brought to us by Hannah. She gives us a long look into the Arctic and asks us to play with point of view. Go play with the toads. We Write Poems gives us a Joseph Harker prompt asking us to look at and describe something… differently. Head over to read the rest of the prompt. At Poets United, we are asked to play with sound, either literal sound, or sound as a technique. As dVerse gears up for its second year, I’ll give you their home link, so you can get an idea of all their offerings and the categories. Stop by the bar and say, Hello. A number of us are always there. It’s such a friendly place. Mom’s internet is acting up. I hope to see you at Tuesday’s Tryouts. If I don’t show, you are going to do the same thing with a winter image as you did with the summer image. I will be on the road, literally, next Friday, so will next see you Tuesday the 7th of August.